THE WRITING BUDDHA - Opinions | Books | Movies: Seventh Anniversary Of My Blog... NOT OUT!!! Many readers joined this journey 7 years ago but left in between while many joined in between and are still with me. Some readers with me since 5-6 years or so! I do not know what makes them continue reading this blog with so much of interest because I have almost changed the perspective with which I used to write earlier. Initially, it would be all about my personal life then I started writing about current affairs then I moved towards youth and then fiction stories; finally after which I am more into reviewing books and nowadays, movies. But still few readers have been regularly reading because they say that initial blogs when I talked about myself made them understand the kind of person I am. And they say that we are in relation with the writer and not the blog. While few believe that they are in relation with the blog and not the writer. Whatever the case may be, the relation persists. Seven are the Wonders of the World. Seven are the colour in the rainbow. Seven are the steps that Indian couple takes during marriage. Seven are the birth that a human being takes according to Indian mythology. Seven are the Shakti's in our subtle energies. Seven are the forms in which Durga manifested herself. Seven sages in the Hindu mythology. Seven days in a week. Seven are the immortals in the Hindu mythology. Seven is such a prominent number and we are celebrating the SEVENTH ANNIVERSARY of this medium which is indeed special in some way which we as normal mortals can not understand. 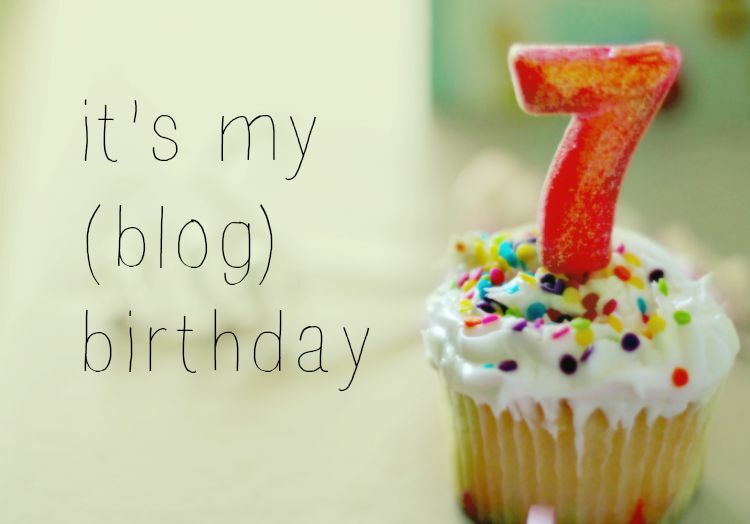 Only the almighty knows what's special with this one but I know that one constant specialty with all the anniversaries has been my blog's readers. Please do stand along with me in this journey. Your Support is My Success!! !